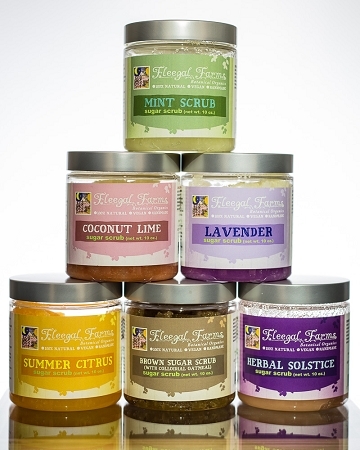 This scrub smells like summer and is scented with pure essential oils. 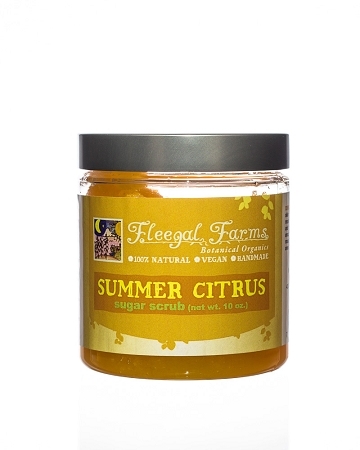 Citrus oils are said to be uplifting to the mood and slightly astringent for the skin. Enjoy the scents of summer all year long. INGREDIENTS: Pure cane sugar (sucrose), oils of olive (olea europaea),rice bran (oryza sativa), apricot (prunus armeniaca), sweet almond (prunus dulcis), avocado (persea gratissima), sesame (sesamum indicum), castor (ricinus communis), and shea butter (butyrospermum parkii), pure essential oils, annatto seed extract (bixa orellana).